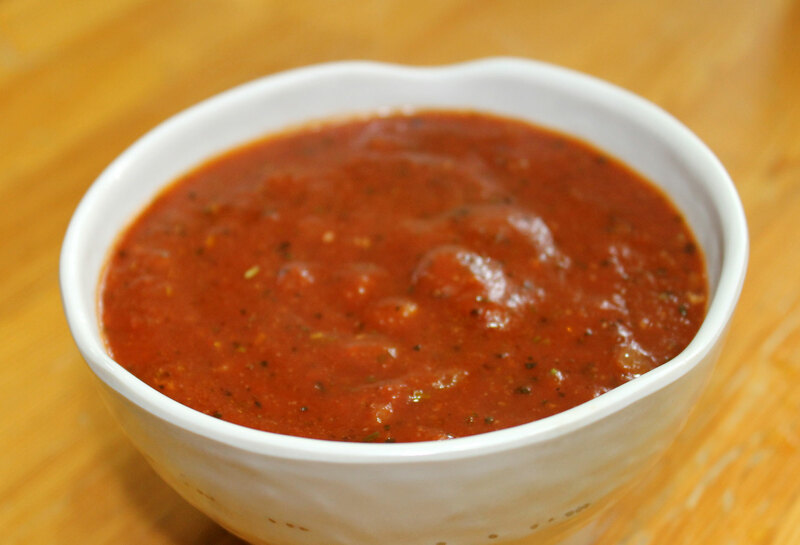 There are so many uses for a basic marinara sauce. Because this recipe is made from tomatoes, which are a nightshade, this recipe is an AIP stage 4 reintroduction. When reintroducing foods on the AIP, I recommend this guide. Add the onion and garlic and cook gently until the onion has softened and is starting to look translucent. Do not allow it to burn or brown – burned onions and garlic will give your finished sauce a very bitter flavour! Now add the can of crushed tomatoes and use the bone broth to rinse out the can. Add the bone broth and the can-rinsings to the pan. Now add the basil and balsamic vinegar and season to taste with sea salt and freshly ground black pepper. Simmer gently over a low heat for 30-45 minutes until the sauce is thick and rich. Use as needed in recipes, or cool and store. This will keep for 1 week in the refrigerator or up to 3 months in the freezer. This entry was posted in Basics, Recipes, stage 4 reintroduction and tagged "pasta" sauce, gluten-free, grain-free, marinara, paleo, primal, sugar-free, tomato. Bookmark the permalink. Tomatoes are NOT AIP….They are NightShades and are toxic. One of the least nighshades to ever be reintroduced to a healthy diet for Autoimmune protocol! Did you EVEN read the recipe? There are NO nightshades in this “Marinara” sauce! It is made from beets and carrots… but thankyou for your comment all the same – it shows that some people are willing to comment negativitaly on a post without even realizing what they are commenting on!